Single Page Checkout extension changes the standard Magento checkout process making it faster, simpler and user friendly. Single Page Checkout makes the purchasing process as easy as 1-2-3. No more need to go through 5-6 steps to complete the order. Also, you will not need to choose between registering or staying a "guest" on the website, just fill in the required information and your order will be accepted! 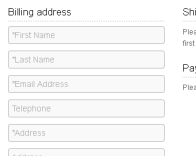 Forms are validated and easy hints are displayed. No redirects. Everything is happening on one page. Highly customizable from admin interface. 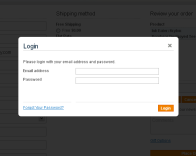 Single Page Checkout displays all required forms for completing an order on a single page. 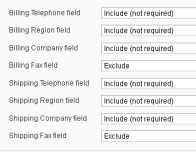 In the extension configuration you will be able to disable the fields that are not required for your store, for example: the client's company name and fax. 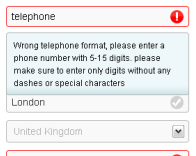 Also, you will be able to select which fields will be required and which are optional. It's important not to have something that will "scare off" the buyer at this stage. "Silent Registration" - We do not ask the buyer if he would like to order as a guest. Why ask personal questions? Extension's basic skin suits any base design of any website and allows the use of the extension without any customizations, although advanced users may customize it or create a new one. Upload your files to your FTP. The extension has the same folder structure as Magento.